Coaching - Something for everyone throughout the year. Coaching from Nick Russell is available to all ages, either on an individual basis, or at our members’ coaching session on a Sunday morning. 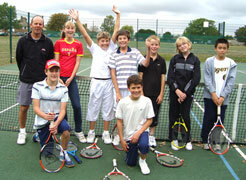 Club members coaching sessions with Nick on Sunday at 10.30am – 12.00 £6 per member per session.